Sebastian Junger's recent book Tribe: On Homecoming and Belonging makes the argument that the great source of suffering in our modern world is the loss of tribe, the loss of belonging to a tight knit community that grounds us, supports us, and gives us a sense of home and purpose. The proximity of these two cultures over the course of many generations presented both sides with a stark choice about how to live. By the end of the nineteenth century, factories were being built in Chicago and slums were taking root in New York while Indians fought with spears and tomahawks a thousand miles away. It may say something about human nature that a surprising number of Americans—mostly men—wound up joining Indian society rather than staying in their own. They emulated Indians, married them, were adopted by them, and on some occasions even fought alongside them. And the opposite almost never happened: Indians almost never ran away to join white society. Emigration always seemed to go from the civilized to the tribal, and it left Western thinkers flummoxed about how to explain such an apparent rejection of their society. What was the source of the attraction? According to Junger, the Western world made a devil's bargain with the Industrial Revolution: Material affluence over the tribe. The factories of the Industrial Revolution required a mobile source of labor, peasants who were uprooted from land and kin, dislocated from the tribes that for generations grounded their lives and identities with purpose and meaning. True, standards of living began to rise, the poorest of city dwellers having access to luxury goods previously only available to nobility and royalty. But the price of this material affluence was a loss of the tribe, the loss of tight-knit community. And as society modernized, people found themselves able to live independently from any communal group. A person living in a modern city or a suburb can, for the first time in history, go through an entire day—or an entire life—mostly encountering complete strangers. They can be surrounded by others and yet feel deeply, dangerously alone. The evidence that this is hard on us is overwhelming. Although happiness is notoriously subjective and difficult to measure, mental illness is not. Numerous cross-cultural studies have shown that modern society—despite its nearly miraculous advances in medicine, science, and technology—is afflicted with some of the highest rates of depression, schizophrenia, poor health, anxiety, and chronic loneliness in human history. As affluence and urbanization rise in a society, rates of depression and suicide tend to go up rather than down. Rather than buffering people from clinical depression, increased wealth in a society seems to foster it. In the second half of Tribe Junger, who is a war correspondent, turns to an analysis of the psychology of soldiers, especially their trouble in returning home after a tour of duty. Junger's discussion turns on two observations. First, war is hell, but many soldiers look back at their time in a "band of brothers" as also one of the most significant and meaningful times of their lives. Not the horrors of war, of course, but the solidarity of a tribe where everyone was willing to sacrifice and die for each other. There is nothing in the modern world that even comes close to replicating this experience. Thus, many veterans, to echo the last post, describe their tour of duty as "the best of times and the worst of times." Second, Junger goes on to argue that the rising rates of PTSD among veterans is not simple exposure to trauma. Junger argues that PTSD is less about trauma than about reintegration into society. PTSD rates were lower in WWI and WW2. And while it could be argued that this was simply a product of a poor understanding of what "shell shock" involved back then, Junger makes a different observation. Because of the draft and the industrial support the wars required back home, WWI and WW2 were national, collective experiences. The trauma was shared. 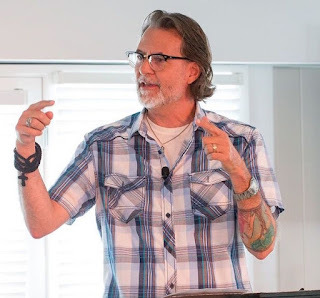 Consequently, it's no surprise that PTSD first started getting diagnosed with the Vietnam War, where vets faced a chilly and even hostile reception back home. In a similar way, most Americas don't serve in the military, causing our professional military personnel to feel increasingly isolated and dislocated from American society. In short, PTSD incidence climbs less because of the trauma but because the trauma isn't being shared by the tribe. As additional evidence for this point, Junger cites the low PTSD rates among the Israeli military, where over half of the nation serves, at some point, in the military. In Israel the trauma is shared by the tribe. 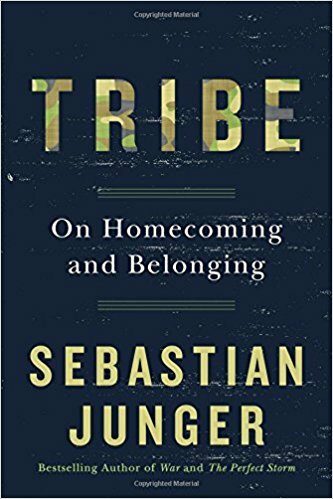 Junger's observations about the military make two points about tribes. First, as his observations about shared trauma illustrate, it's not just that tribes make us happier. Tribes help us carry our pain and suffering. The best treatment for trauma is a tribe. Second, beyond sharing trauma, vets struggle to reintegrate back into society because nothing in society compares to the shared, sacrificial purpose vets experience in the "band of brothers" during military service. The thin, vapid, solitary, and commercialized existence of modern life--where life is lived moving from screen to screen and from one Super Bowl party to the next--just can't compare to the courage, valor, solidarity, and shared purpose vets experience in the tribe of their military units. In short, our need for a tribe isn't about reducing loneliness, about how nice it would be to have a few friends over for dinner tonight. Tribes run deep into the human psyche. Tribes are integral to human flourishing. 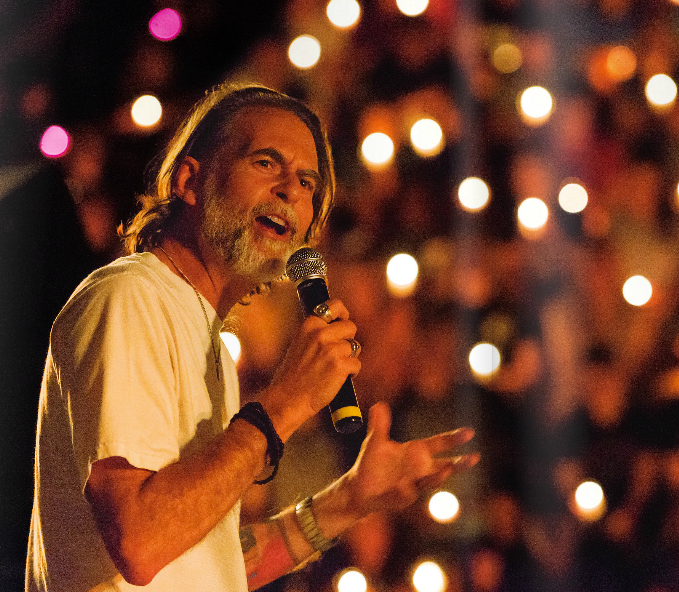 Tribes help us carry our suffering and pain, and they give us a sense of shared purpose and meaning. Tribes give us a home. And this, I would argue, is the deep source of post-evangelical nostalgia. They have memories of being a part of a tribe. Yes, tribes create tribalism, and there are toxic, dysfunction, and abusive tribes. But without a tribe there is listlessness, loneliness, and pain.